A straightforward guide to hiring a professional, when the DIY doesn’t cut it. Have you ever struggled with picking paint colours, sorting out your floor plan or deciding what tile to use? Many homeowners firmly believe in a do-it-yourself approach, but sometimes it all becomes a little overwhelming, and it's simply better to just call in a pro. 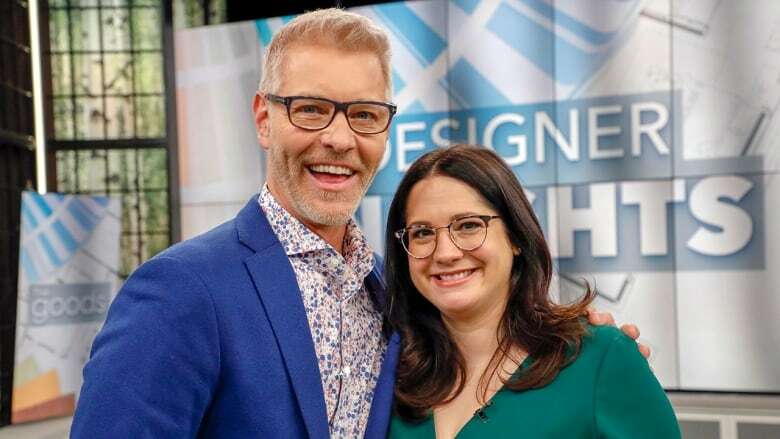 Olivia Botrie, principal interior designer at Dart Studio, argues that you should hire a professional in this field for the same reasons you'd hire an accountant – you could do your taxes on your own, but there is a big benefit from bringing in someone who knows what they're doing. 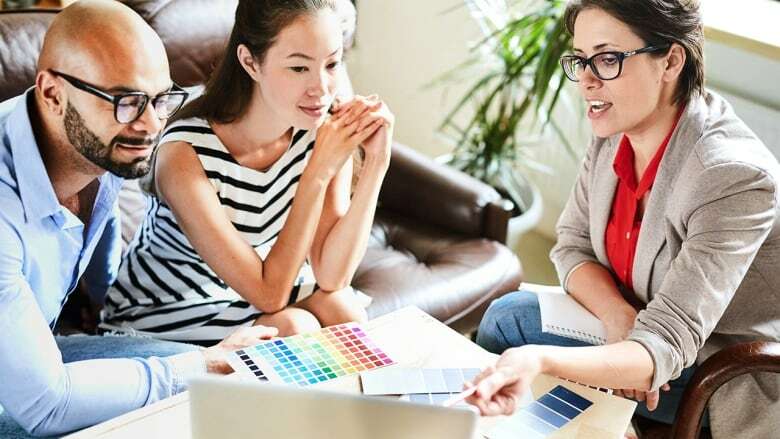 An interior designer's job description goes way beyond decorating, and they provide a variety of services ranging from space planning to materials and from finishes right through to project management. And if you're unsure about what working with a designer actually entails, Olivia stopped by The Goods to share her tips for navigating the process for a less stressful, and simply stunning end result. An interior designer's job is to facilitate you getting the house of your dreams — not only aesthetically, but also functionally. That means a big part of what Olivia does is breaking down how a client will use the space on a daily basis and figure out how to make their home work for their lifestyle. Simply put, a well-designed house makes life easier, so for example, if you struggle to get your kids out the door in the morning, a designer can tackle a system to have the kids' school stuff in an easily accessible area to make your mornings run smoother. Most homeowners renovate once or twice in their lives, but designers are constantly gaining knowledge that can be carried forward into future projects with every job they undertake. They're educated, trained and practiced in all aspects of design, so ultimately you are bringing in a professional to help turn a house into a home. Can I acquire materials myself? She also suggests reaching out to a designer as early in the planning process as possible. This will allow you to maximize their advice and prevent having to go back and make changes to your pre-existing plan. Do you only source 'trade only' pieces? Do you offer full service design? When could you fit a reno like mine in? A design consultation is usually a two hour crash course with a designer that's entirely tailored to suit your project's needs. It's an invaluable appointment because clients can ask rapid-fire questions, take notes and benefit from some pro tips, tricks and inspiration to help inform the design. Generally, these consults tend to focus on colour selection, textiles, finishes, furnishing, and budget. Olivia recommends arriving with your questions prepared and you'll be good to go, but you should always go into the consultation with specific ideas that you want help with. If you are a hands-on homeowner, this is a great way infuse some professional ideas and information into your space, and it can be a great way to get feedback on your ideas from a designer before you move full steam ahead into the makeover. Just remember that it's pretty much impossible to condense the entire design process into a 2 hour consult, so the more research you do ahead of time, the more you will get out of the consultation. Olivia cautions not to expect successfully addressing space planning and layout. Designers approach space planning with a complete site measure, a CAD (Computer Aided Design) file and a lot of ideas, so it can be tricky to design and explain a complicated layout — like a kitchen — in only a 2 hour consultation. Most consultations don't come with follow-up time so make sure that you fully understand the recommendations before the consultation is over. To help your designer get a better sense of your project, bring along some visual inspo to your first meeting. Pull together your favourite design ideas from the Internet or magazines and lay them out on a large piece of paper. The photos can just be things you like — even adding a picture of a strawberry can communicate a lot about your taste. These real-life Pinterest boards are called mood boards, and are incredibly helpful for conveying an overall impression or general aesthetic for your space. It's also infinitely helpful if you show up with construction documents for the task at hand. Olivia always recommends attaining a complete set of professional and properly scaled drawings — such as drafted drawings, working drawings, plans, elevations, sections, details, etc. — for any construction job. Plus, you'll need to provide these for permit approvals, custom construction or precise installs like kitchens or plumbing, anyway. It can be difficult to verbally communicate how you think the finished product will look, so a complete drawing package (including reflected ceiling plans, electrical plans and elevations) makes it easy to get accurate quotes and to manage expectations for the end result. Even if you know your exact layout and don't want to work with a designer, she recommends hiring a CAD technologist to draw up your idea so that you can use it as a reference with contractors, trades, etc. to get the job done. Many people are uncertain if they require a designer to take on project management, too. Olivia explained that this is generally for larger scale projects and renovations, and involves coordinating all of the moving parts of a job, including time, cost, performance targets and tradespeople, materials, scheduling, sourcing/troubleshooting and site visits. Every project needs to have a primary point person for the contractor to reach out to with questions. Even with a complete set of drawings there will be minor adjustments during construction and it can be overwhelming and time consuming to have a contractor calling you at work and asking if they can move the light switch 8" to the left. Without that answer to a seemingly small question, work may need to come to a halt, so it's imperative that the contractor gets questions answered ASAP. Your need for a project manager therefore depends on your personal preference and availability — some clients are able to be the point person, but others find that having a designer take on the role of primary contact helps keep the job moving forward. Although decorating is the part that most people think of when it comes to a designer's job description, decor generally encompasses furniture, textile, artwork and accessories, too. Olivia understands that the actual decorating aspect of interior design can be very overwhelming because the market it so saturated with ideas. It's hard to sift through all of the pretty things out there to decide on what you really want, and although Pinterest and Instagram are amazing resources, you have you be able to filter ideas and build a cohesive scheme. This is where a designer can be super helpful — they can put together a layout with a furniture plan and images of furniture, lighting, textiles and more, and then you can either have them do all the purchasing or take those ideas and use them as a template to do your own shopping.